What makes solar power contagious, and can home energy upgrades spread the same way? Solar is spreading like a reinvented fire. 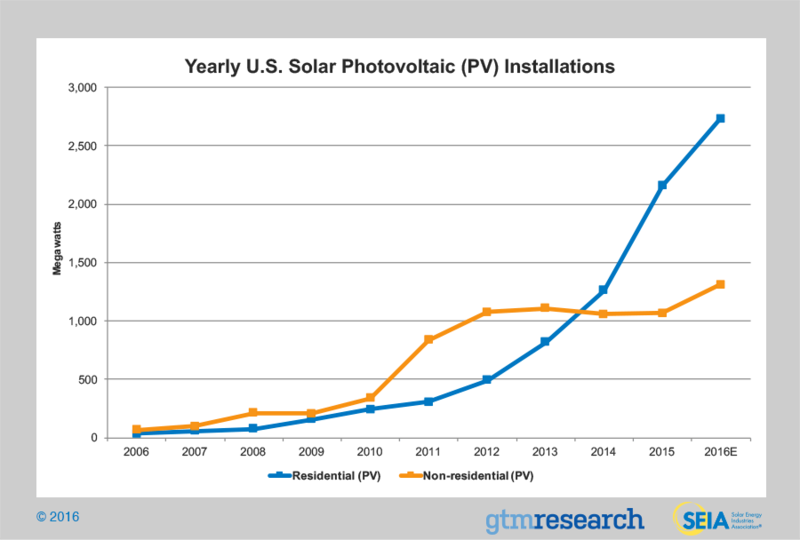 See the dropping prices, technology improvements, and rapid growth curve in residential solar installations over recent years. Witness the rapid expansion of our work with major companies across the world to purchase solar. Observe the growing and unwavering appeal of solar in, for example, the recent decision by MGM in Nevada to pay a fine rather than miss the opportunity to power up with solar. The fire spreads—and reaches a point where solar has become contagious. As this contagion takes hold across markets, homeowners and companies alike are feeling the solar itch. What is particularly interesting about the growing uptake of solar among homeowners is that homes with solar panels appear in clusters in small geographic areas or neighborhoods. This contagion, which takes the form of word-of-mouth referrals in places like Fort Collins, Colorado, is shaping the strategy of major providers like SolarCity. It appears that the notion of “keeping up with the Joneses” may now also mean getting rooftop solar. Standing in contrast to the solar contagion taking hold nationwide, however, is the largely untapped $150 billion opportunity for valuable energy efficiency improvements in existing single-family homes. In fact, energy upgrades may be the single largest unmet demand in housing—more than affordability, safe streets, storage space, privacy, or other factors. Unlike solar, however, home energy upgrades have not (yet) caught fire. Nevertheless, there may be powerful lessons from the role of peer effects on the diffusion of rooftop solar that energy upgrade service providers can use to make energy upgrades contagious. The solar industry is making promising headway in “cracking the nut” of cultivating and meeting rapidly increasing demand for rooftop solar. This is fortunate, because rooftop solar plays a major role in the transition to a cleaner, more resilient, affordable, and equitable electricity system that our communities and our country need to make to mitigate the effects of climate change. Research suggests that “spatial neighbor effects” usefully predict new solar installations. What’s more, whether or not a homeowner’s neighbors have solar panels may be the most important factor influencing the decision to get solar, more important than income levels, political views, or proximity to major population centers (see Figure 1). Source: Graziano, Marcello, and Gillingham, Kenneth, “Spatial patterns of solar photovoltaic system adoption: the influence of neighbors and the built environment”, Journal of Economic Geography, Oct. 7, 2014. When solar contagion strikes, we see initial installations followed by additional installations in nearby homes—as shown in this animated map from SolarCity, which shows the clustering of referrals that follows new installations (see Figure 2). High visibility. Perhaps the greatest asset of rooftop solar is that the product does its own advertising. The panels serve as a daily reminder of their use, like a permanent yard sign that declares the homeowner’s commitment and values, while also showcasing the specific product. The gleam of the “new.” Solar panels still have that compelling whiff of a technological breakthrough where human inventiveness has provided something cool and new: “free” energy. Appeal across the political divide. Unlike some other energy topics, solar has an appeal to conservative and liberal Americans alike, albeit often based on different priorities. To better understand the solar contagion phenomenon and extract insights for the residential energy upgrades market, let’s take a look at the community that SolarCity ranked as the number one city in the country for solar contagion: Fort Collins, Colorado (a community RMI has worked closely with). Referrals drive 69 percent of SolarCity’s rooftop solar installations in Fort Collins, making it the top city in the country for solar referrals. RMI helped build support for an aggressive climate action plan that ultimately crystallized in a form that aims for carbon neutrality by 2050. The municipal Fort Collins Utility provides good support and rebates for residents wishing to install solar, including quality control for the solar contractors. In addition, pro-solar policies at the state level make Colorado ripe for solar growth. These supportive policies and utility programs in Fort Collins help create the needed infrastructure for the local solar market. Nevertheless, it appears that the motivation to invest in solar today is shaped by the presence of solar on the rooftops of neighboring homes. Make it simple and convenient. Simple and convenient solutions are needed that bundle various services and make it easier for residents to take action, as do the full suite of services offered by solar companies. Create interest. It helps to have wider efforts in the community that create a new normal around the expectation that homes should be comfortable, quiet, and energy efficient. Even better would be specific efforts to create bipartisan support for policy infrastructure enabling energy upgrade investments. Cultivate word of mouth and other forms of peer diffusion. Service providers can increase the social motivation for homeowners to invest in energy upgrades by using in-person and online platforms promoting interaction between family, friends, and neighbors before, during, and after projects (a topic of an upcoming RMI insight brief). Make upgrades visible. Although solar is easily visible outdoors, energy upgrades can become visible indoors. Service providers can encourage homeowners to share and show off their energy upgrades with family, friends, and neighbors through various in-person and online means, in addition to the more standard approaches of distributing yard signs during and after upgrades or affixing window or fridge stickers and plaques declaring energy ratings or program participation. Energy upgrades can also be made “visible” to our skin and ears through increased thermal comfort and reduced external noise pollution, respectively. To make energy upgrades contagious like solar, we need innovative approaches to enhance the visibility and appeal of energy upgrades at a personal and social level. In essence, we need to make efficiency feel less like an old sweater vest and more like a Marc Jacobs coat. Less like an standard programmable thermostat and more like a Nest. Less like a typical sedan and more like a Tesla. No one has fully lit the efficiency fire so that it spreads like solar, but many small flames are being fanned. How can we make the invisible visible and drive broader contagion for home energy upgrades? How can we make energy efficiency beautiful, cool, visually compelling, and thus social so that people want to display it? I challenge you to show us how it’s done! Let’s make energy upgrades contagious.